Together with the Alpharetta Audio Video Film & Technology Video class Instructor , the Board will guide the AVCB and assist the Alpharetta High School Audio Video Film & Technology to provide students the ultimate film and video experience in order to reach success during and beyond their high school career; aiding to administer fundraising opportunities benefiting both the organization and students; and attend to financial decisions based on classroom and budgetary needs, serving as fiduciary guardians. 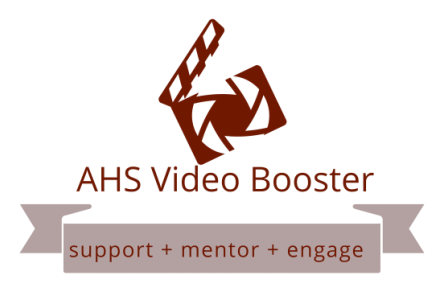 Visit the AHS Video School Website by clicking the button below! Misner graduated with a BBA with a concentration in the Music Business from Belmont University in 1985. Upon graduation, he ventured to Doraville's famed Studio One assisting Johnny Van Zant (now lead singer for Lynyrd Skynyrd). After becoming disillusioned with the music business, Misner ventured in another business building his family business into revenues of over $1,000,000.00. But Misner's calling was to be creative and in 1993, Misner started Videotimes, a boutique video production company. As the event business grew, Misner capitalized on the "high end" event business and developed a unique style of editing with an eye on customer satisfaction. His work ethic is what built the business combined with a talent for creativity. Alpharetta High School placed one of their students in Misner's studio in 1994/1995. The student developed into a valued employee and went on to Florida's Full Sail University. In May of 2009, AHS contacted Misner to look at their video program with the possibility of joining their team. "I saw the potential right away," said Misner. After sitting with students that May, several students went to the principal to REQUEST Misner to teach. "There is no higher compliment than to have students request you," says Misner. Mr. Misner came onboard in August, 2009 and immediately changed the program. In 2014, The National Academy of Television Arts and Sciences recognized the productions of Alpharetta High School. We were awarded High School Production Awards presented at the 2014 Emmy Awards. This is a huge honor and now it has raised the bar for our students. Oversees all fundraising and community outreach, including membership and summer camp. Manage bank account, payables and receivables for club. Website Maintenance, Meeting Minutes & Keeper of all things.